5 Birthday Party Organisation Ideas You Never Knew About! Birthday Party Organisation Is No Child’s Play! Planning your precious little child’s birthday party can be hectic. After all, you want the day to be perfect for the apple of your eye – full of fun, excitement, and joy. You got the birthday party outfit, ordered the favourite cake, called all the BFFs, prepared the snacks menu – all that is left is finding out how to decorate the party! You want the entire place made up with fun things that are bound to excite your child and all the other kids too. 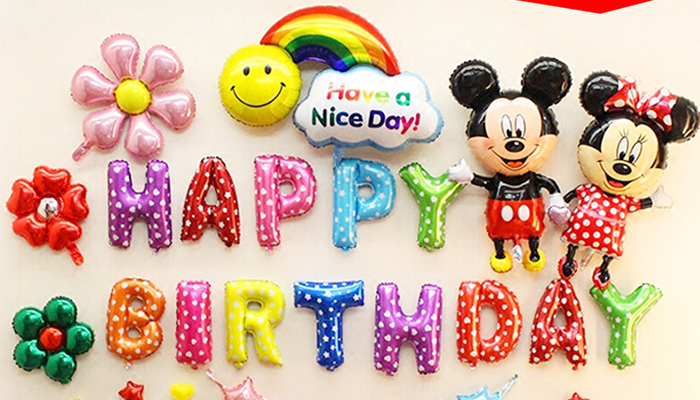 Here are some really cool DIY party decorations from birthday event organisers in Chennai! We can guarantee your child will talk about these decorations for years to come. Five Party Decoration Ideas The Every Baby Birthday Party Organiser Should Know! Who doesn’t love a few twirly whirly windmills of every colour spinning around in the wind? They are very easy to make too. All you need are pieces of paper, straws, and pegs to attach them together. Make them in a variety of bright colours, and add them here and there all over the party room, and watch the fun unfold. You can even make it a party activity getting each child to make their own and carry it home afterward as a return gift. What is a children’s birthday party organisation without hats? Get plenty of chart paper and a roll of sticky tape you are all set. Now, comes the fun part of decorating them. Get your little one involved too. There is no better fun in the world than to get messy with glitter glue and tinsel. But if your precious baby balks at the mention of glitter, get the hats decorated with stickers of favourite action figures. Balloons Are Children’s Birthday Party Organisers’ Best Friends! Yes, balloons! And plenty of them too. You can never have too many balloons at a birthday party. Get them in all sizes and shapes and leave them around all over the place. Helium balloons are usually a great hit with kids. If you are using professional party planners, they can hook you up with a balloon arch or two, to get the party vibe going. Remember to add a few filled with glitter and confetti, both for the look and the kick your child will get out of bursting them. These handy strips of paper or fabric are another easy quick of adding colour and character to the party. You can do plenty of things with them. You can add them to balloon bunches, twist them around pillars, or simply hang strips of them from the ceiling to create quirky accents to the party decor. You can even add a chandelier made by tying lengths of ribbons to a ring that you can suspend from the ceiling. If you want to add a touch of elegance to the proceedings, filled glass vases are the way to go. Water in the many hues of the rainbow, made using food colouring, would work great. Add a flower or two to complete the look. Other filling options include glitter, sand, pebbles, and rocks. So, head over to your nearest art and craft store and get cracking on those party decorations! PreviousAwesome Tips To Decorate Your Wedding Reception Venue!Next5 Reasons To Hire The Best Wedding Planners In Chennai!